By Chris JuryIntroduction Throughout this series I’ve begun by discussing the predominant temperature conditions in the tropics and subtropics, where most coral reefs grow, and in the mid-latitudes, where most of my readers live. The condition of coral reefs around the world is strongly influence by the temperature regime they have recently experienced. 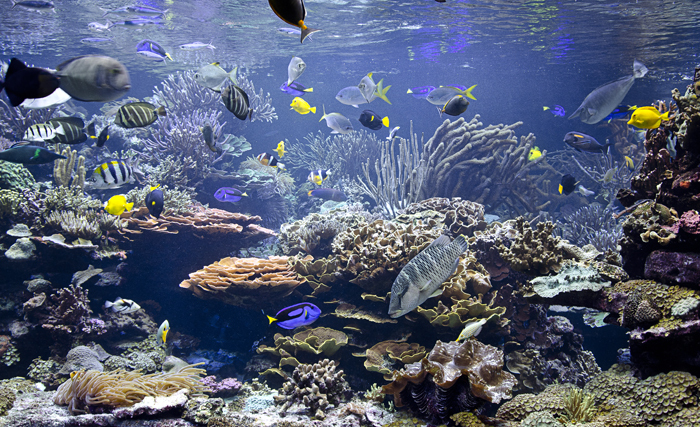 Temperature is a big deal for coral reefs in our aquaria, and in the ocean. Conserving coral reefs for ourselves, our children and grandchildren, as with so much else, requires us to look both at the big picture and at the details. I pay close attention to the evolution of temperature and bleaching risk around the world in part because it relates to my work, and in part because of my own personal desire for coral reefs to continue flourishing. Summers when fluctuations around the prevailing climate lead to cooler temperatures and lower risks of bleaching, are good summers. Summers that are on the warmer end for the present climate and lead to substantial bleaching are concerning, if not downright depressing. These are pieces of detail though, as are the other weather conditions I’ve discussed before which enhance or reduce bleaching. The place-to-place and season-to-season changes in temperature stress are detail. The big picture explains why large-scale bleaching events have become common and widespread over the last few decades, but were essentially nonexistent until about 30 yrs ago. The big picture suggests where coral reefs are going not between now and next year, but over our lifetime. I’ll return to this topic shortly, but first refocus on our aquaria. Last time I outlined the criteria I considered most important in selecting an appropriate temperature range for reef aquariums and gave my recommended target: 77-82 °F with a relatively safe minimum of 72 °F and maximum of 84 °F. In this article I will address temperature variation, considerations for when things go wrong in our tanks and finish with the big picture of temperature trends on coral reefs. The Utility of Stability A raise of hands for everyone that has heard that “SPS” (an acronym meaning small-polyped stony corals) really should stand for “stability promotes success”. I know I’ve heard it a lot. While I’ve written about the fallacy of basing coral husbandry decisions on polyp size (i.e., “SPS” vs. “LPS”) previously, suffice to say that temperature tolerances display no relationship whatsoever with polyp size. Some corals are tough as nails, and others will bleach and die if you look at them funny, but polyp size won’t tell you a thing either way. Nonetheless, the goal of stability in a reef tank is usually promoted not only for temperature, but for essentially every parameter we can measure. In fact, I have frequently come across the suggestion that the absolute temperature stability is much more important than the absolute temperature in the tank. Along these lines, it’s relatively common to run into aquarists that strive to keep their tank temperature stable to with 1 °F. For example, an aquarist might have the heater set to come on at 77 °F and the chiller to come on at 78 °F. Such stability is often not easy to achieve, usually requires the use of a chiller in combination with a heater, and can be rather expensive as a result. Despite the prevalence of this belief, it simply cannot be the case that stability is always more important than the absolute temperature. A stable temperature of either 60 °F or 95 °F will kill many reef organisms within a few days, or less. Granted, these are temperatures well outside the range of what most hobbyists would accept in their own tanks (otherwise they wouldn’t be hobbyists for very long) but the point remains that stability at a suboptimal temperature will yield poor results. For instance, many corals and other reef organisms can survive and grow long term at temperatures of 74 °F and 84 °F. However, many also grow more slowly at these temperatures than they do at intermediate temperatures. Temperature stability (as well as stability of any other parameters) is only potentially desirable if the absolute temperature is within a desirable range. From the criteria I developed last time, I believe that the most appropriate temperature for most reef tanks, most of the time lies within the range 77-82 °F. A stable temperature is only potentially desirable if it is near this range, whereas a stable temperature well outside of this range is likely to result in lower growth rates, health problems and eventually death depending on how far outside this range the temperature reaches, the length of time spent at that temperature, and the sensitivities of the organisms in question. The question becomes, does temperature variation within our target range (or thereabouts) negatively affect corals and other organisms enough to justify the effort and expense that is usually required to keep the temperature very stable? The degree of daily temperature fluctuation on a reef varies considerably from place to place. On an intermediate depth forereef exposed to oceanic swell and adjacent to deep water, the daily temperature variation is quite small—typically < 1 °F. At the other extreme are tidally influenced pools, backreefs, and lagoons like those on Ofu Island in American Samoa. Here the daily temperature variation is often 8-10 °F, and can be as high as 12 °F (e.g., 80-92 °F) with these swings in temperature sometimes realized in just a few minutes, as the tide comes in. These are the extremes though. On the average reef we typically see daily temperature variation of around 2-6 °F. Coral reef animals of all sorts tolerate these conditions, granting that tolerance is one thing and the ideal may be another. The question of how daily temperature fluctuation affects corals is an interesting one, and one that has sparked a number of studies. One of the earliest such studies was performed by Stephen Coles here in Hawaii. In the early 1970’s the thermal outflow from a power plant on the western coast of Oahu was dumping seawater 10-12 °F higher than ambient onto the adjacent reef (the outflow has since been moved further offshore). During the summer months this translated into a sustained temperature in the low to mid-90’s F directly adjacent to the outflow, which killed all the corals in the area. As distance from the outflow increased, the corals transitioned from dead, to bleached, to pale, and finally to normal in appearance. Within the zone of healthy-looking corals waves entrained the high temperature water from the power plant, exposing the corals to temperatures in the mid-80’s F at low tide, and then back down to the upper-70’s to low-80’s F (ambient temperatures) at high tide. The temperature frequently fluctuated 4-6 °F within minutes, and many times per day, though the corals were not exposed to elevated temperature for more than a few hours per day. Compared to corals growing nearby in normal temperatures (< 2 °F daily temperature fluctuation), the increased temperature fluctuation had no discernable effect on the health or growth of the corals. If this degree of temperature fluctuation negatively affected the corals, the effect was subtle and certainly not easy to detect. Returning to the backreef corals off Ofu Island, with the extremely high daily temperature fluctuation, Dan Barshis, Lance Smith, and colleagues working from here in Hawaii have shown with various lines of evidence that the corals on the extreme backreef are clearly better adapted to tolerate a high-temperature, extreme environment than are corals growing on the more typical forereef. The temperatures on the backreef are not only variable, but are often quite high (90-94 °F) for periods of up to several hours. These are stressful temperatures for most reef organisms, and can cause mortality in more sensitive organisms if sustained for as little as a day. Here I use the terms “adapted” and “adaptation” in their scientific context, which is more specific than the way they are often used in everyday language. An individual organism is well-adapted or poorly-adapted to a particular environment depending on that individual’s genes. Technically speaking it’s not the genes that differ, since all individuals of a species have essentially the same genes, but rather the alleles. Alleles are different versions of a particular gene, such the A, B, and O alleles that make up human blood types. In these backreef pools a coral that has the right combination of alleles which, for whatever reasons, allow it to tolerate high and variable temperatures has an advantage over corals with a less tolerant combination of alleles, and allowing the well-adapted individual to outcompete the poorly-adapted individual. An individual’s genotype never changes. As a result, individuals cannot possibly “adapt”—they are well-adapted or poorly adapted for a particular environment, and that’s what they are stuck with. However, because some individuals are more successful than others in particular environments, those individuals go on to reproduce at a higher rate, putting more of their successful alleles in the next generation, and shifting the entire population toward more well-adapted individuals. In other words, the population evolves in response to environmental pressure. In this context, adaptation and evolution are two terms for exactly the same process and it occurs at the level of the population due to differential success among individuals. This is an important point to understand, especially when we think about what to expect from corals and other organisms in our tanks. 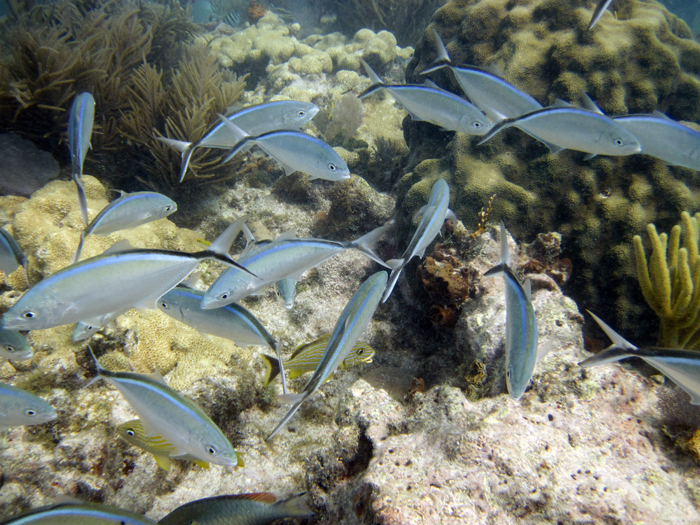 A population evolves (= adapts) over time; an individual coral, fish, etc. is stuck with the genotype that it was born with, and whatever limits or tolerances that implies. 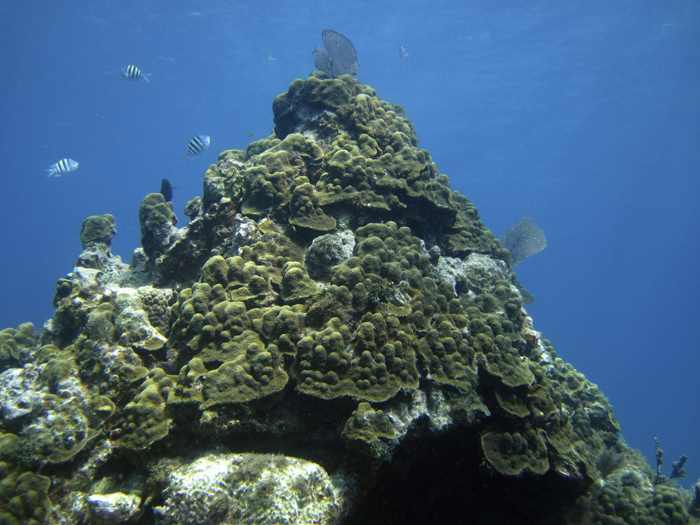 The backreef corals of Ofu Island have adapted to tolerate environmental extremes and higher temperature than have the vast majority of corals. The particular individuals in this population comprise tough genotypes—tougher than most genotypes growing on most reefs. If we were to keep a temperature regime like this in our reef tanks it would make many of the animals very unhappy, and some of them very dead. Don’t do this at home. There are additional examples of coral responses to temperature fluctuation in the scientific literature, but these two embody the larger points I wish to make. Truly extreme daily temperature variation of 10-12 °F likely will negatively affect many reef organisms, not because temperature variation is inherently harmful to them, but because a range this large implies that the organisms are spending significant amounts of time at stressfully high or low temperatures. Modest daily temperature variation of 2-4 °F, and perhaps as much as 6 °F, seems to have little if any discernable negative impact on corals (or likely on other reef organisms), as long as the temperature doesn’t go too far outside a tolerable range. Hence, going to the extra effort and extra expense that is usually required to keep the temperature extremely stable in a reef tank is probably unnecessary in most cases, and likely provides little reward for the effort and expense. For example, the corals and other animals in a reef tank that swings daily from 78 °F to 82 °F and back again are likely to be just as healthy and grow at a rate indistinguishable from those in a tank kept at a constant temperature within this range. Based on experience in my own tanks, and talking with other hobbyists, I would recommend that it is best to limit daily temperature fluctuation to a maximum of about 4-5 °F under normal circumstances, since more fluctuation than this may begin to push some animals into suboptimal temperatures. If one is able to maintain the temperature in a reef tank consistently within the 77-82 °F range I have recommended, I would call it good enough. No Pain, No Gain If you are surprised by the suggestion that a few degrees of daily temperature variation in our reef tanks is probably not a big deal to most organisms, then what I am about to say may well be shocking. In many cases, especially during the summer months when high temperature control tends to be more challenging, it is probably desirable to allow a degree of temperature variation in our reef tanks, including occasional, short-term excursions to 84 °F (or perhaps even a tad higher). To understand why, we must consider physiological acclimatization. For any environmental parameter, there is a window in which an organism performs best physiologically. When the environment strays from this window the organism enacts an array of fast-acting physiological responses to cope with the altered conditions. For example, in response to high temperature stress many organisms begin to produce so-called heat shock proteins. These responses buy the organism time, keeping it alive and functional until the environment returns to normal. In addition to these fast-acting responses (which by themselves are insufficient to cope with a long-term change in environment) are additional steps that organisms take which can further increase their environmental tolerances. For example, in humans and some other animals we respond to long-term changes in temperature by altering the pattern of blood flow in our bodies. During the winter months less of our blood flows through vessels near our skin, reducing heat loss from our bodies, whereas during the summer months the pattern reverses, allowing us to lose heat more easily. Changing from one pattern to the other takes several weeks in humans, which is why people that travel from one climate to another suffer from the heat or cold for a few weeks. The process (itself composed of many small physiological changes) that shifts the environmental window of tolerance of an organism is referred to as acclimatization. It is important to understand that acclimatization is different from adaptation, which I discuss above. Adaptation occurs at the level of the population by weeding out poorly-adapted genotypes, and rewarding well-adapted genotypes. Acclimatization works at the level of the individual based on previous conditioning that the individual has received. In other words, an individual coral, fish, or other organism in our tanks cannot adapt, by definition, but all of them can acclimatize to one degree or another. And just to make this discussion thoroughly confusing (if it isn’t already) the capacity for acclimatization—how much the window of tolerance can shift—is often determined by an organism’s genotype. 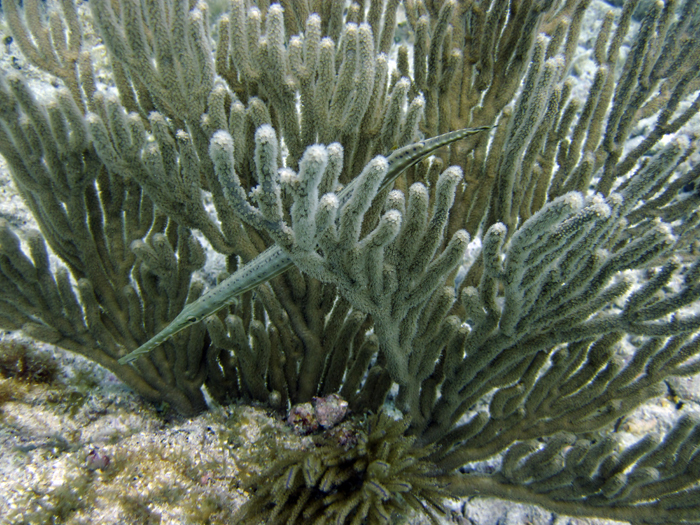 For example, one coral may be capable of shifting its upper thermal tolerances by only 1 °F whereas another individual with a different genotype might be able to shift its tolerance by 3 °F. To understand what this means for our aquaria, and why it could be useful to occasionally allow excursions to higher temperatures, consider work done by Middlebrook et al. (2008). Working on Heron Island, at the southern end of the Great Barrier Reef, they collected fragments of the coral Acropora aspera and conditioned them in different ways over a period of two weeks before testing their responses to elevated temperature. The first type of conditioning was simply to hold the corals at a constant 81 °F—the ambient temperature out on the reef. 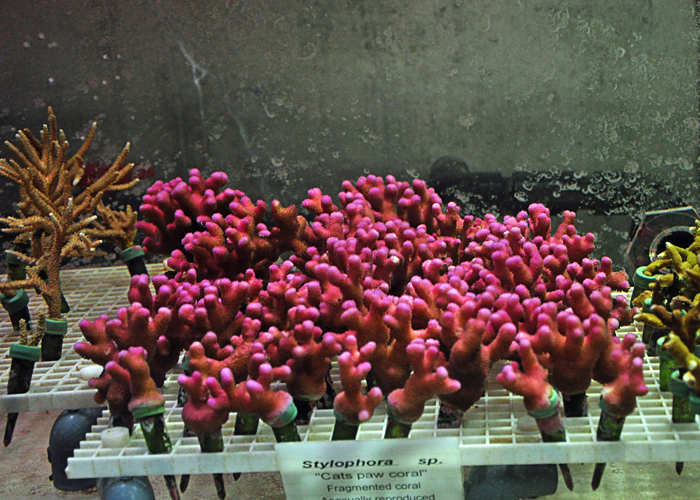 The second type of conditioning was to subject corals to a two-day temperature spike of 88 °F either one week or two weeks before beginning the temperature stress experiment. Hence, the corals received no temperature spike, a temperature spike one week before the experiment, or a spike two weeks before the experiment. Corals from each group were then exposed to a constant 93 °F for six days (the control corals were kept at a constant 81 °F) and their bleaching and zooxanthellae “health” responses measured. Suffice to say, none of the corals kept at 93 °F were happy. The dark-adapted quantum yield of the zooxanthellae (a measure of zooxanthellae “health and happiness”) was reduced in all of the corals exposed to 93 °F compared to the controls at 81 °F. However, the zooxanthellae in the corals exposed to a high temperature spike either one or two weeks prior were much less severely affected by the 93 °F than were the corals that had no high temperature experience. Even more telling—by day six the corals without any high temperature experience began to bleach whereas the corals that had experienced a high temperature spike one or two weeks prior to the experiment did not. Imagine a scenario something like the one simulated by Middlebrook et al. (2008) in your aquarium. The temperature might spike by 5-10 °F, either due to equipment failure or a heat wave (or both simultaneously, perish the thought). These things happen, especially during the summer. I don’t think I know any hobbyist that has been in the hobby more than a few years who hasn’t had situations like this happen at least a few times. 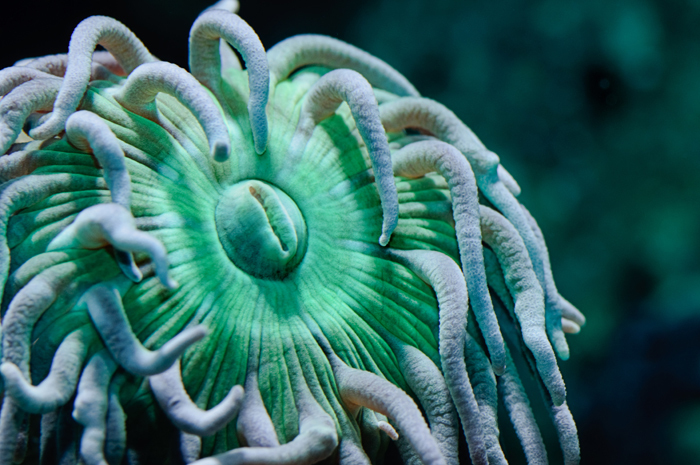 If your aquarium is kept at a constant temperature—whatever that temperature is—then the corals and other organisms in the tank are very likely to be more vulnerable to a spike in temperature than if those same animals were forced to cope with a bit of temperature variation. It is for this reason I suggest it is useful, especially during the summer, to allow the aquarium to occasionally reach higher temperatures for short periods of time. If we are going to purposely allow the temperature in our aquarium to occasionally go a bit high, the obvious questions are how high, for how long, and how often? While the scientific literature can help to guide the answers here, I will defer to experience a bit as well. In other words, I’m going to invoke at least a little bit of hand waving here. Based on the work done by Middlebrook et al. (2008), as well as my own personal observations of corals in tanks and on reefs, I would suggest that a high temperature excursion once per week to every few weeks is probably enough to get the desired effect. For instance, a person might allow the temperature to rise in one’s aquarium a couple of times per month, on a weekend when one is there to observe and make sure there are no problems. I would suggest that it is best to keep such high temperature excursions to less than a day, and perhaps only a few hours would be best. Since temperature tends to follow the light cycle on many tanks—rising when the lights are on, and falling when the lights are off—a single day every few weeks where the temperature rises to a high level for a few hours is likely a good goal. As for the absolute temperature: 84 °F, my recommended maximum temperature in a reef tank, is probably good enough. I have had aquaria reach temperatures higher than that (85-87 °F) for periods of several days without my corals bleaching or serious negative effects, however, it seemed clear that everything in the tank was rather unhappy. I specifically am not recommending temperatures above 84 °F because not every organism will tolerate them well. It’s up to you, the aquarist, to decide how to manage your aquarium. In practice, this method might look something like this: the aquarium is kept at a temperature of 77-82 °F most of the time and two or three times per month (starting 1-2 months before summer) the temperature is allowed to rise to 84 °F for a few hours, then brought back down to the preferred range. Doing so will probably expose some animals to suboptimal conditions, but it may also save their lives in the event of a real temperature control issue. Just as training for a marathon conditions our bodies to tolerate a little more physiological stress (from running), occasionally exposing corals and other organisms to slightly elevated temperatures conditions them to tolerate a little more temperature stress. No pain, no gain. While I think this method has the potential to help reduce the risk of disasters in most reef tanks, I stress that it is only one possible method for trying to deal with summertime temperatures. I know some aquarists who have very good temperature control on their aquariums and actually lower their tank temperatures during the summertime, reasoning that the lower temperature gives them more time to correct a small temperature issue, whereas really high temperature spikes are unlikely in their aquaria. If this seems a better strategy for your aquarium, I would have no qualms about using it. However, since most aquariums are subject to the occasional high temperature spike, conditioning them to better tolerate these spikes using methods like those I describe above are likely to be useful for most aquarists. Dealing with Disasters I’ve never quantified it, but I would bet that a high temperature spike, usually during the summer months, is one of if not the most common cause of disaster in otherwise healthy aquariums. Right around May of every year online forums seem to explode with threads discussing the upcoming summer season, and the heroic efforts some make to try to deal with the warming temperatures. A month or two later stories of catastrophe begin to pop up. ‘I went away for the weekend and we got a heat wave’ here or ‘my AC died’ there. It is a tense time of year for most reef aquarists. While less common in my experience, cold temperature disasters certainly increase in frequency during the winter season as well. The effects of a temperature spike on the organisms in the aquarium depend primarily on: 1) the size of the deviation (e.g., 2 °F vs. 10 °F), 2) the time of exposure (e.g., 2 hrs vs. 2 days), 3) the sensitivities of the organisms in the tank, and 4) whether the deviation is on the high end or the low end of the temperature range. The first three components are probably fairly obvious—a really large temperature deviation for a long time with sensitive animals is going to be a lot worse than a small deviation for a short time with very tolerant animals. However, it may not be so obvious that high or low temperature stress have somewhat dissimilar effects on organisms. Last time I discussed the temperature dependence of coral growth on temperature and said that we see a roughly bell-shaped relationship with the highest rates at a temperature optimum and lower rates significantly above or below this temperature. This is a common pattern not only for coral growth, but for essentially every physiological process in every organism. While the pattern is roughly bell-shaped, the shape is skewed a bit toward lower temperatures. In other words, physiological processes break down faster as we move toward high temperature than they do as we move toward low temperature. The temperature optimum is closer to the upper thermal limit than it is to the lower thermal limit. 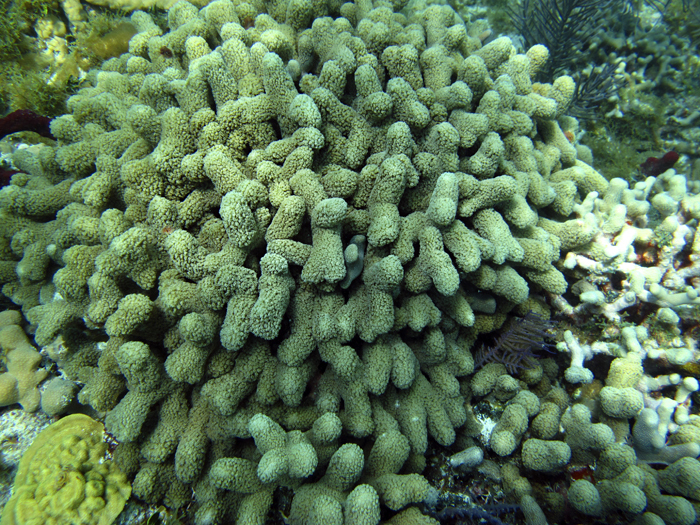 For example, many corals here in Hawaii have a growth optimum of around 80 °F. Those same corals can tolerate a temperature of 70 °F (10 °F lower) for weeks if not months, whereas a temperature of 90 °F (10 °F higher) kills most of them within days. Temperatures either too high or too low are stressful and can be deadly, but the margin of error is a bit smaller on the high temperature side. This fact has fueled debate within the hobbyist community about appropriate aquarium temperature targets. One side of the debate has argued that corals have fixed upper thermal limits, and that maintaining our reef tanks at somewhat lower temperatures affords us a larger margin of error. The other side of the debate has argued that corals in nature are 1-2 °C (1.8-3.6 °F) below their upper thermal limits, and therefore keeping our reef tanks at lower temperatures offers no benefit—the corals are still about 2-4 °F below their thermal limits. Therefore we should maintain higher temperatures more like those in nature. There is a nugget of truth in both of these ideas, but neither is wholly correct either. The upper thermal limits for corals and other organisms are determined by the combination of their genotype (i.e., a fixed response—adaptation) and previous conditioning (i.e., a plastic response—acclimatization). If we put corals, fish, and other animals from Indonesia (relatively hot) and Fiji (relatively cooler) in the same aquarium, most of the Indonesian animals will always have higher thermal limits than their Fijian counterparts, regardless of conditioning. However, maintaining those same animals at slightly higher or variable temperatures increases the thermal limits of those animals a bit as compared to maintaining them at lower or highly stable temperatures. To put into perspective, the difference in upper temperature limits of corals from warmer vs. cooler areas where corals are collected is perhaps 5-6 °F, whereas acclimatization can change thermal tolerances by perhaps 1-3 °F. There are absolute temperature limits for all the animals in our tanks and these limits cannot be completely overridden by previous conditioning. However, these limits are modified by previous conditioning. Temperature limits are determined both by intrinsic physiological limits and previous conditioning, not one or the other in isolation. There are two common reasons the temperature in a reef tank goes too high: 1) the heater or chiller is malfunctioning, or 2) the ambient room temperature has increased (either because of a seasonal change in temperature, or a broken AC), reducing the rate heat is lost from the aquarium. If (or when) one comes home and notices that the temperature is too high, first take a moment to breathe—clear thought is paramount when correcting problems and hasty decisions may compound problems. Taking 10 minutes to implement corrective action in a careful manner is much better than rushing around in two minutes and making an even bigger mess. First, check the heater and chiller (if present), to ensure that they are working correctly. The most common type of heater malfunction is to become stuck in the ‘on’ position. If that’s the case, unplug it an allow it to cool before removing it from the tank, while taking further corrective action. Second, turn off the lights if they are on. This is for two reasons: first, most lights tend to heat up the aquarium, counteracting any cooling efforts you’ll be making, and second, coral bleaching is driven by high light intensity under elevated temperature. Turning off the lights significantly reduces the stress on zooxanthellae, and reduces the chances of coral bleaching and death. Third, cool down the aquarium to the desired temperature using a combination of methods like those below. Far and away the most useful method for cooling off a medium-sized or large aquarium (and an extremely useful method for day-to-day temperature control) is to use fans to enhance evaporative cooling. A large fan blowing across the surface of the tank (with the aquarium hood opened or removed) as well as across the sump can rapidly cool off most tanks, returning them to a normal temperature within hours. Here I must stress, you want strong fans relative to the size of the aquarium. Little muffin fans like those commonly used to cool aquarium lights and hoods are fine for a small tank (< 10 gal), but desk fans, box fans, or even industrial fans are the way to go for larger tanks. A turbulent water surface enhances evaporative cooling further, so pointing pump outflows toward the surface of the water can be helpful if the water surface is not otherwise very turbulent. Another method that works especially well for smaller tanks is to float frozen water bottles or sealed bags of ice in the sump or the aquarium itself. This method can work for larger tanks too, but usually the amount of ice needed to make much of a dent in the temperature of a really large tank is more than can easily be kept on hand, whereas keeping a couple of water bottles in the freezer for a small tank is very good forward planning. One downside to this method is that, if the ice packs are put in the tank itself, they can bob around and bang against corals and other tank inhabitants, causing damage if they are not somehow restrained. It is also helpful to turn the AC up in the room, providing a cooler ambient temperature and enhancing evaporative cooling by drying the air. At this point I would start mixing sea water to do water changes, which may be needed if some of the animals in the tank start dying, and I would probably change the granular activated carbon (if in use), which should help to remove some of the nasty compounds that are likely to be produced by the stressed organisms in the tank. I must emphasize that, while our goal is to lower the temperature in the aquarium reasonably quickly, we absolutely, positively do not want to overcompensate and end up lowering the temperature too much. Too hot is stressful whereas too hot followed shortly thereafter by too cold is a double whammy and can compound problems. A number of years ago I witnessed the aftermath of overcompensating for elevated temperature in a local fish store where I worked while I was an undergraduate. We had a beautiful 220 gal reef tank with many animals that had been growing well for years. Several of the corals were well over 12” across and were absolutely spectacular. It was summer, our AC had just gone on the fritz and temperature control had become an issue. The tank was starting to reach 86 °F at the end of the day with the metal halide lights on. To take care of the problem one of the employees set a large fan blowing over the sump before leaving for the night. The next morning when people returned the tank temperature was down to around 72 °F (the heater in the tank couldn’t keep up) and a couple of Acropora colonies we had just added were already beginning to peel tissue. Within days many of the other Acropora in the tank began to die and, despite water changes and moving some of the corals to other aquariums, we lost perhaps 80% of the coral that had been growing in that tank. It was a very depressing time for all of us. I think that, in this case, the presence of the new Acropora colonies was a catalyst for the crash, since newly imported Acropora tend to be particularly sensitive to stress. However, the point remains: swinging wildly from stressful high temperatures to stressful low temperatures is a very bad idea. Some animals simply will not tolerate it, and their death can create a disastrous snowball effect, crashing a tank. 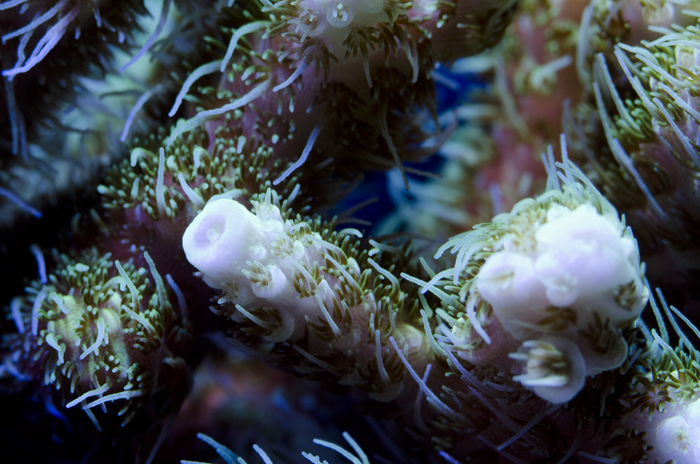 The most common reasons for low temperature stress in a reef tank are: 1) a power outage, or 2) using inappropriately sized heaters that cannot maintain the temperature of the tank. The fixes here are simply to get the power back on or get appropriately sized heaters in the tank. The Elephant in the Room Most discussions of the future of coral reefs paint a very bleak picture, namely that coral reefs may not have a future for very long. That is a distinct possibility, as I will discuss below, but it is not inevitable. We have the time and resources needed to save coral reefs for ourselves, our children, and our grandchildren, but doing so requires us to get moving right now. Human activities are causing the climate to warm. The most important of these activities is the release of CO2 to the atmosphere from burning fossil fuels, deforestation, and the manufacture of cement. Simply put, no other human activity (e.g., release of methane, nitrous oxide, etc.) nor any natural process (e.g., volcanic eruptions, variation in solar output) has had anywhere near as large an effect on global climate over the last several decades as the effects of the CO2 we have already released. However, the cumulative amount of CO2 we have released in the last 150 yrs is less than 15% of the amount we could conceivably release during this century, if we were to continue with business-as-usual. In the last 50 yrs the temperature on coral reefs worldwide has increased by an average of about 1-2 °F. In practice what this means is that cool years are now rare whereas hot years are now common. The hottest years a few decades ago did not exceed the upper thermal limits for corals, and sure enough, we did not see widespread bleaching on coral reefs until the early 1980’s. Over the last several decades widespread bleaching events have become more common around the world, as the climate has warmed. Exactly how coral reefs react to climate change, and how quickly they can recover from bleaching events, varies from reef to reef. For instance in some places (e.g., Palau) reefs largely recovered from the damage caused by bleaching on a timescale of 5-10 yrs, whereas in other places (e.g., the Galapagos) reefs still have not recovered even 30 yrs after bleaching. Some coral reefs, for a variety of reasons, are inherently more vulnerable to disturbance whereas others are less vulnerable, but none of them are immune to climate change. I don’t want this discussion to focus on doom and gloom, but we must understand the consequences of inaction. Let’s consider what temperatures on coral reefs will look like under the business-as-usual CO2 emissions scenario. Please understand that this is not a worst-case scenario, it is the most likely scenario under business-as-usual. A worst case scenario would be, well, even worse. Under business-as-usual, during the 2030’s—a mere 20-30 yrs into the future— the concentration of atmospheric CO2 will reach 500 ppm (it is currently about 390 ppm) and the temperature on coral reefs will reach about 0.8-1.1 °C (1.4-2.0 °F) higher than during the 2000’s (Donner, 2009). Given present-day temperature tolerances, that is enough to induce bleaching on most reefs at least every 2-3 yrs, and severe bleaching with high rates of coral death once or twice per decade. This will certainly exceed the capacity for some coral reefs to recover between bleaching events, pushing them to collapse, whereas the most resilient coral reefs are likely to be right about at their limit for recovery. During the 2090’s atmospheric CO2 will reach 980 ppm and the temperature on coral reefs will reach about 2.8-3.6 °C (5.0-6.5 °F) higher than during the 2000’s—high enough to kill most corals within a few days during the summer. In other words, most corals, whether they live on sensitive or resilient coral reefs, will already be long dead by the time we reach the 2090’s. For those of us younger than about 50, this means that most of the tropical corals on the planet will die during our lifetimes, and will already be mostly dead by the time our grandchildren are old enough to SCUBA dive on them. One might ask, won’t corals acclimatize or adapt to higher temperatures and the answer is yes to both. However, from the research that has been done to date, it appears that temperature acclimatization can only buy most corals about 1-3 °F of temperature tolerance. That is enough to buy them time, but not enough to save them. If corals could acclimatize enough to keep up with climate change, they wouldn’t be bleaching, yet we see more and more bleaching around the world as the climate warms. Acclimatization is not enough. For adaptation to save coral reefs, temperature tolerant coral genotypes must replace temperature sensitive genotypes as fast as the sensitive genotypes are killed. However, genotypes that can tolerate temperatures 5-7 °F higher than present-day are extremely rare on most reefs and many corals have generation times of decades, making it very unlikely that the kind of replacement needed can happen fast enough. 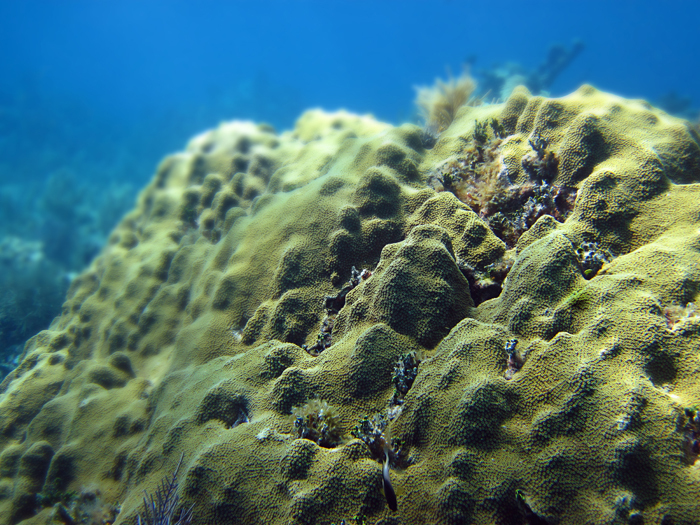 There’s little evidence for adaptation this fast on coral reefs in nature. In a nut shell, what this means is that most corals will die and the very rare individuals that can survive the high temperatures will live on, turning coral reefs into dead rock with the rare coral here and there. Such a massive reduction in population size has serious consequences for any organism. It reduces genetic diversity, which makes a species more vulnerable to extinction, and for broadcast spawners like most corals, which release their eggs and sperm into the water for fertilization, it can result in the so-called Allee effect. When the individuals of a species become rare they may not be close enough to each other to fertilize each other’s eggs when they spawn, reducing reproduction and making it simply a matter of time before the species goes extinct—the Allee effect. The coral mortality we can expect from business-as-usual CO2 emissions, assuming that corals and other organisms will both acclimatize and adapt, is simply so high that most coral reefs will only be a shadow of themselves in a few decades and the risk of extinction for many corals, fish, and other species will be very high. When a species goes extinct it is very rarely with a bang, and usually with a whimper. The few individuals and the species that survive will eventually repopulate our coastlines and build reefs once again, but the geologic record suggests that recoveries like this can take millions of years. That’s a long time to wait. Taking off my hat as a scientist and speaking only as an aquarist and a person, to me this future scenario is totally unacceptable. I am unwilling to let coral reefs be destroyed or doomed to destruction on my watch, a sentiment I think is shared by most people. So how do we avoid a future anything like what can be expected under business-as-usual and preserve coral reefs? The simple answer is that we must stop dumping CO2 into the atmosphere as quickly as possible. Delaying significant action another decade or more is a recipe for disaster. Our climate today already causes summer temperatures to exceed the upper limits for corals around the world on a regular basis. Considering both the effects of increased temperature on coral reefs and the feasibility of reducing CO2 emissions, it has been suggested that a peak atmospheric CO2 concentration of 450 ppm (Hoegh-Guldberg et al., 2007), eventually falling to 350 ppm, may be both an acceptable and a feasible target. Make no mistake, this scenario will result in more coral bleaching and death around the world, but most coral reefs will likely be able to survive under this scenario. The nuts and bolts of how we achieve this target is more complex and beyond the scope of this article, but many people have written extensively on this topic. There will be no silver bullet and achieving these results will require implementing many technologies that we already have to generate power without CO2 (solar, wind, geothermal, etc.) as well as improving energy efficiency. Nonetheless, we have it within our power to save coral reefs for ourselves and for future generations. A recent Pew poll found that 91% of the American public wants the president and congress to make developing clean sources of energy a priority whereas 71% want the president and congress to make addressing climate change a priority. Perhaps even more telling, 68% of Americans support requiring electrical companies to produce at least 20% of their electricity from renewable sources, even if it costs the average household an extra $100 per year (the cost of actually doing so). Make no mistake, fixing this problem requires investment in the short and medium term—about 1% of GDP, or about $100 per year for the average family—but is much cheaper in the long term and has the potential to spur economic growth via a green revolution. We have the technology needed to fix this problem, there is widespread public support to do so, and even stumbling blocks like concern over China’s willingness to cooperate are disappearing since the Chinese are now substantially outpacing the US in deployment of renewable energy technology. In spite of all this, the US congress is stifling progress, voting down a bill that would limit CO2 pollution last year and with some members now moving to defund the EPA or strip it of its mandate to regulate CO2 pollution. It would seem that the most important step toward protecting coral reefs at the moment is getting Washington to take the leadership on this issue that the public wants it to. If the future of coral reefs is important to you, make sure this priority is understood by your elected officials, especially your representative and senator in congress, and make sure they understand that their action or inaction on solving climate change affects your vote. If we fix the climate problem and also address local stressors on coral reefs such as overfishing, coastal pollution, sedimentation, etc. the future for coral reefs begins to look very bright. By putting in place the measures that are already at our disposal we can stop the global decline in reefs that has been occurring over the last several decades, and even begin to reverse the trend in our lifetime. The future is bleak if we allow it to be, but we have the power in our hands to make a better future for ourselves, for our children, and for our grandchildren. Let’s make that better future. Conclusion Temperature is fundamentally important on coral reefs, and in our aquaria. Temperatures either too high or too low cause problems. We’ve also explored temperature regimes on reefs in nature and seen that some reefs tend to be a bit warmer and some tend to be a bit cooler. Some experience large annual temperature variation while others experience little variation. 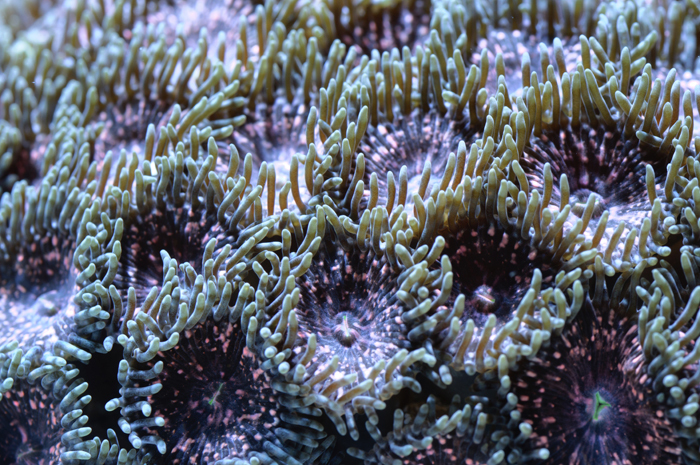 Nonetheless, most corals and other reef organisms tend to have thermal optima within the range of 77-82 °F, and which is the temperature range I suggest is likely to work best for most reef tanks. Since most aquaria house animals from different regions with somewhat different temperature tolerances, I’ve suggested that relatively safe upper and lower bounds for temperature in reef tanks are about 84 °F and 72 °F, respectively. 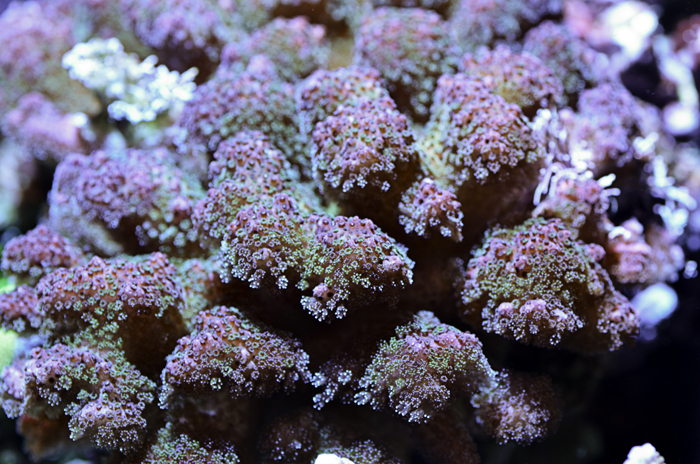 While it is often a goal of many aquarists to maintain very stable temperatures, a little bit of temperature variation seems to be well tolerated by reef organisms, and may even be useful in promoting higher thermal tolerances in corals, reducing the risk of disaster in the case of high temperature stress. Organisms, including corals, tend to live closer to their upper temperature limits than their lower temperature limits, requiring us to be prepared to deal with high temperature stress in our aquaria, especially during the summer. Finally, I finished our discussion by addressing the effects of climate change on coral reefs and by encouraging everyone that cares about the future of coral reefs to help exert the political will needed to save them.